VLTIMAS - SOMETHING WICKED MARCHES IN LTD. EDIT. (DIGI) | Online Shop | Wizard LTD. Album: "SOMETHING WICKED MARCHES IN LTD. EDIT. (DIGI)"
First full length-album by the new cult death metal formation. The band is made of Rune "Blasphemer" Eriksen (ex-MAYHEM, AURA NOIR, EARTH ELECTRIC), David Vincent (ex-MORBID ANGEL) and Flo Mounier (CRYPTOPSY). Mixed and mastered Jaime Gomez Arellano at Orgone Studios (GHOST, PARADISE LOST, ULVER, SOLSTAFIR, PRIMORDIAL). Cover artwork by the renowned Zbigniew Bielak (MAYHEM, WATAIN, GHOST, DESTROYER 666, CRAFT and more). A behemoth of death metal extremity, this album sees these titans bring their prodigious talents to bear on a commanding synthesis of their storied histories. 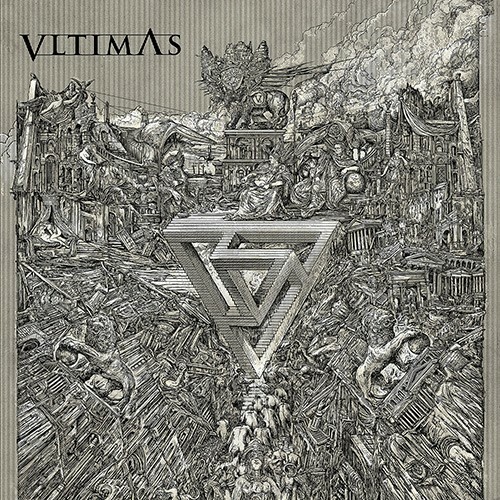 VLTIMAS is nothing short of extreme metal royalty, and &apos;Something Wicked Marches In&apos; is a forceful statement of intent.